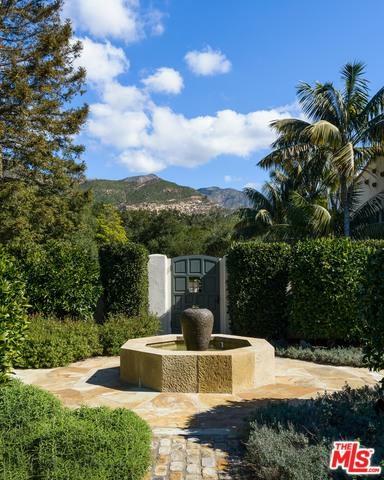 There are certain things that imbue an estate with world-class status. Its location and its bones occupy that privileged list. 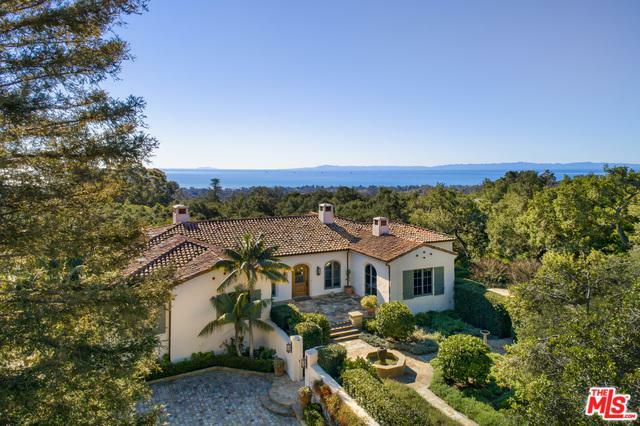 This magnificent Spanish Colonial Revival-style Montecito property offers both. Resting on approximately two acres in the affluent community's coveted Golden Quadrangle it is perched in the foothills yet is just minutes from the charming Upper Village, schools, services and pristine beaches. Its bones are born of exceptional materials. No expense was spared. Almost $2 million was spent on custom cabinetry and stonework, including native sandstone unearthed and cut on the property. One hundred-fifty-year-old roof tiles were imported from Colombia. There are Saltillo and Moroccan tiles, antique wood beams and light fixtures. 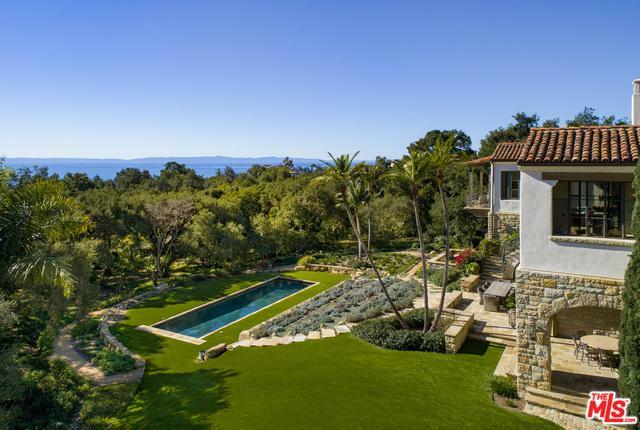 The very private estate is surrounded by mature trees yielding only to stunning ocean, island and mountain vistas. Great expanses of custom multi-pane windows and French doors allow a near seamless flow of interior and exterior pleasures. Listing provided courtesy of Michelle of Berkshire Hathaway Homeservices California Properties. ©2019 California Desert Association of Realtors. All rights reserved. IDX information is provided exclusively for consumers' personal, non-commercial use and may not be used for any purpose other than to identify prospective properties consumers may be interested in purchasing. Information is deemed reliable but is not guaranteed accurate by the MLS or Bennion Deville Homes. Based on information from the California Desert Association of Realtors as of 2019-04-20T21:38:25.133. All data, including all measurements and calculations of area, is obtained from various sources and has not been, and will not be, verified by broker of MLS. All information should be independently reviewed and verified for accuracy. Properties may or may not be listing by the office/agent presenting the information.